Welcome to Uhrfirmaet Jules Jürgensen, located on Ordrupvej in Charlottenlund. 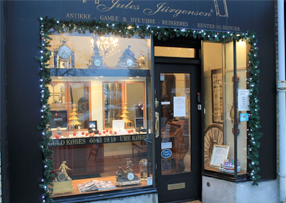 Uhrfirma Jules Jürgensen offers everything in service and repair of watches and clocks. This applies to small and big clocks, table clocks, pocket watches, longcase clocks and wrist watches. The company undertakes the reparation of watch brands such as Rolex, Cartier, Omega, Breitling, Patek Philippe, etc. 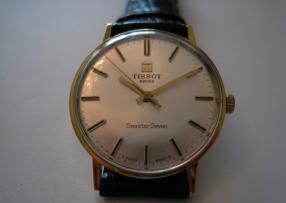 which are watches that are of high quality and require a great deal of professional knowledge to be repaired. Apart from the service, Uhrfirma Jules Jürgensen also performs common day-to-day tasks such as battery changes, insertion of new glass etc. Here, it is worth mentioning that the company has one of the country's largest selection of leather straps. Uhrfirma Jules Jürgensen now offers the new service of renovation of Rolex watches that have been worn over time. "We divide the chains, put new staples in and reassemble them so they become almost like new. It's unique to us" says owner Jannik Torp Sørensen. He has an experience of 30 years in the industry, and he only employs watchmakers in his shop. "When you visit our store, it's only real professionals that will serve you" says Jannik, emphasizing that all repairs are carried out at their own workshop. "We go out and look at people's watches where we provide free and non-binding offers for repair " concludes Jannik Torp Sørensen. - Uhrfirma Jules Jürgensen Ordrupvej 98 D, 2920 Charlottenlund.